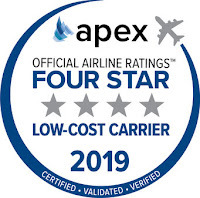 One of the top European airlines has been given another award, this time, Norwegian has been named a Four-Star Low-Cost Airline by The Airline Passenger Experience (APEX), the highest honour for low-cost airlines. Their Official Airline Ratings™ was the first airline rating programme based solely on certified passenger feedback and Norwegian was one of ten low-cost airlines worldwide to receive the honour. "We are honoured to receive a Four-Star rating, especially as it is our own passengers that have voted based on their experience with us. In 2018, we have won numerous awards and I would like to thank our hard-working and professional colleagues for everything they do, as they are the reason our customers have such a great experience with us," said Bjørn Kjos, Norwegian’s CEO and Founder. The announcement was made Monday night at APEX’s gala in Boston, US. APEX is the only non-profit membership trade association dedicated to improving the entire airline passenger experience. 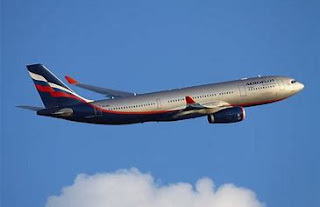 Airlines are divided into three different categories: Global Airlines; Major Regional; and Low-Cost Carriers. 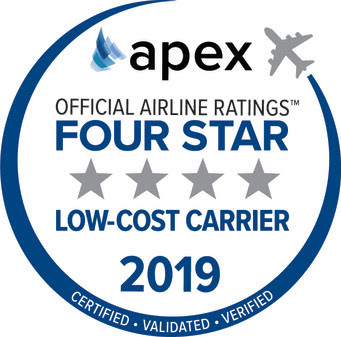 The APEX Official Airline Ratings™ were created based on passenger feedback gathered through APEX's partnership with TripIt® from Concur®, the world's highest-rated travel-organising app. Using a five-star scale, more than one million flights were rated by passengers across nearly 500 airlines from around the world between July 1, 2017, and June 30, 2018. First, passengers rated their overall flight experience from one to five stars. On the same screen, passengers were given the opportunity to provide anonymous ratings in five subcategories: seat comfort, cabin service, food and beverage, entertainment and Wi-Fi. The single screen rating allows airline passengers to easily rate their flight in less than 15 seconds. "We are extremely proud of the results of our passenger-driven Official Airline Ratings program with TripIt," said APEX CEO Joe Leader. "Of nearly 500 airlines rated worldwide, less than nine percent were rated by their passengers at the highest Five-Star Airline level and only the next 14 percent reached the prestigious Four-Star Airline tier."